Home » Forums » C36/375IA Forums » General Discussion » Do you recognize these ports? Do you recognize these ports? Does anyone recognize what manufacture these ports are? There are two, one in the head and the other opposite. 1985 C36 MKI. I'd really like to replace both the crazed port lights and gaskets. "The time a man spends sailing is not deducted from his lifespan." These are the same ports I had on my 1986 C-30. Catalina Direct is pretty knowledgable- I would call them. 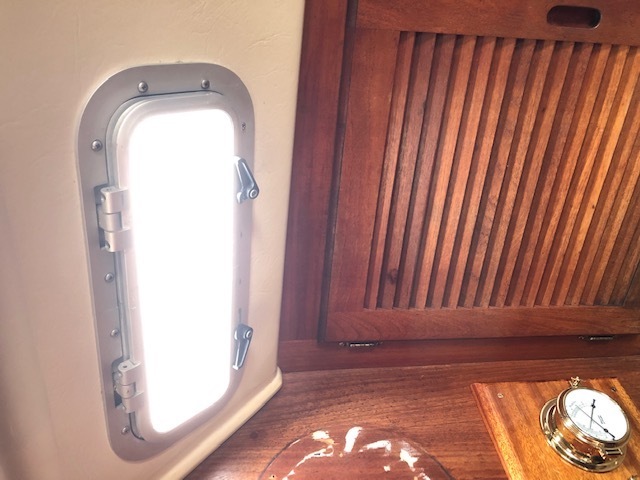 There is a company named HatchMasters that repairs/rebuilds boat hatches- they may also be able to help. I agee with Pkeyser's suggestion about lens fix options. We had these as well (our boats are only 6 numbers apart), and replaced them a few years back when I redid all the ports. I learned from this site somewhere that if the gaskets are cleaned every once in a while with soap and water, they don't leak, so you might want to try that first before futzing with the gaskets. 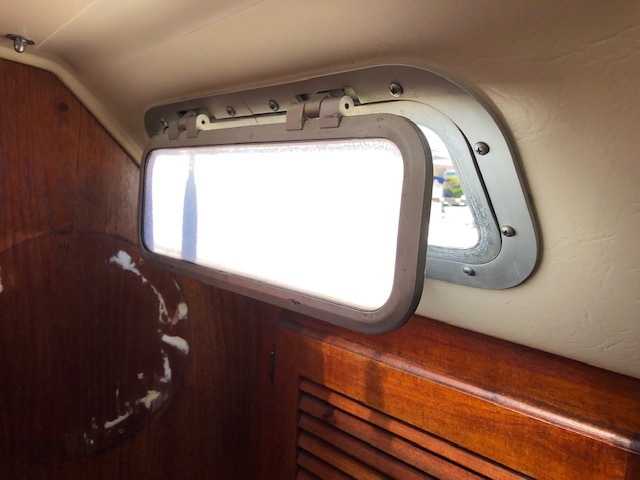 Although they still worked fine for us (we dind't mind the varzing on the head portlight because it provided privacy), we replaced them a few years ago as part of a project to replace all the framed ports -- soley because they would have been a visual mismatch (see www.catalina36.org/comment/58853#comment-58853 ). Indeed, I recycled one of them to replace the fixed port under the starboard cockpit seat to allow more ventilation into the aft cabin (the other one is sitting in my cellar and is still available for free to anyone who wants it, let me know via PM).